This amazing novel is about a paralyzed vet who gets up out of his wheelchair one day and suddenly walks. And it's about all the stories the people around him tell to make sense of that miracle, if it is a miracle at all. I'm not the first reviewer to say I've never read a book quite like this and to rank it among one of the best novels I've read in a while. It's about so many things, from religion to reality shows to real people. But it's also about STORIES—the ones we tell ourselves to make sense of this thing called life. It's not a light read, but it's not heavy either. 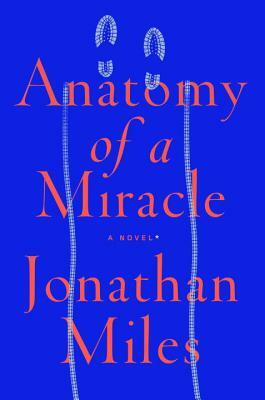 It is literary fiction done just right, and Jonathan Miles is a master. The Snail will be keeping it in stock if you want it.
" 'Thing is, you imagined him staying in that chair and he somehow imagined himself out of it. You wrote one story . . . and his body wrote another. And all these people heard that story of his and every one of them tried and failed to understand it so they rewrote it in whatever way made sense to them, whatever way consoled them, until it didn't make sense to them anymore so they had to write it another way. And maybe one of those stories was true and maybe none of them were.' "